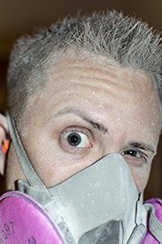 I was planning on renovating the bathroom after I finished painting the exterior. ...and my best friend Renee....who was scheduled to arrive in town in 3 days. So on new year's eve, realizing that I had not a clue about how to plumb a bathroom, I called on my friend Tommy for immediate assistance. He knows a lot about plumbing, though there was a little wrench in the plan. We now had only 2 days to complete the project. So I took off on vacation a day earlier than planned and we got to work. 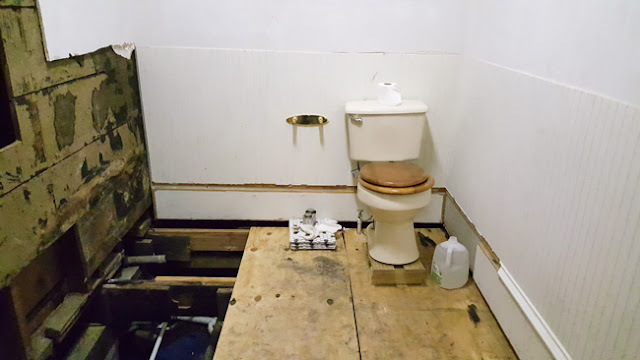 If I was going to re-do the bathroom plumbing, I figured we might as well get that clawfoot tub installed. which meant the shower and the sink had to be demo'ed out. 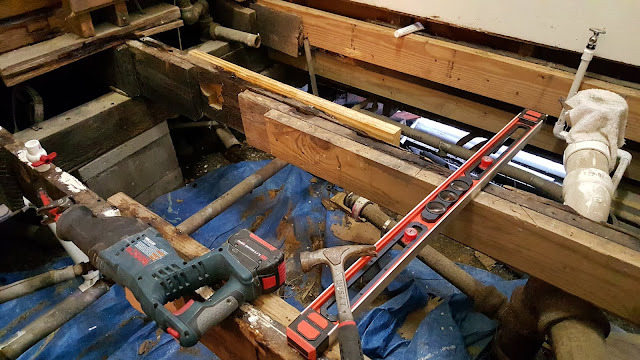 to remove the beadboard, the baseboards had to be removed. The floor presented an issue. A 1 day setback to be exact. This too was unexpected. 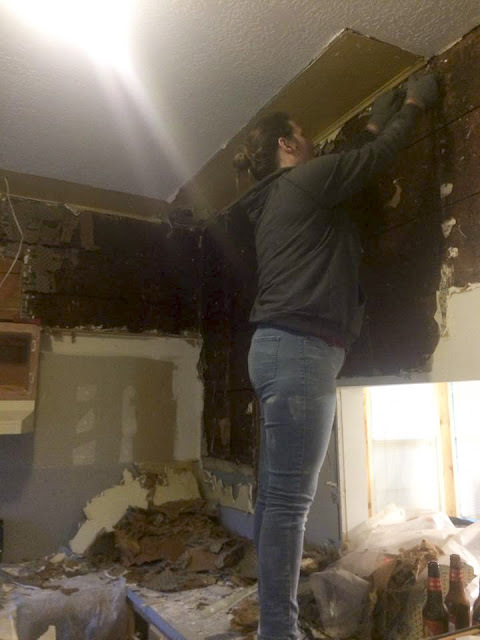 We discovered that there was concrete backer-board over not just 1, but 2 layers of subfloor. which was screwed and nailed to the joists. "ok, you can cut 3 inches to the right" (Tommy starts the cut) "
"go 2 inches to the left"
and so on and so forth. Piece by piece, we worked that subfloor up, occasionally shouting "I got one!" every time one of us worked a screw loose. So now we had 1 day to re-do the plumbing. I decided to treat this like a law school exam. which meant the flange was sticking up too high. 4 inches above the floor to be exact.